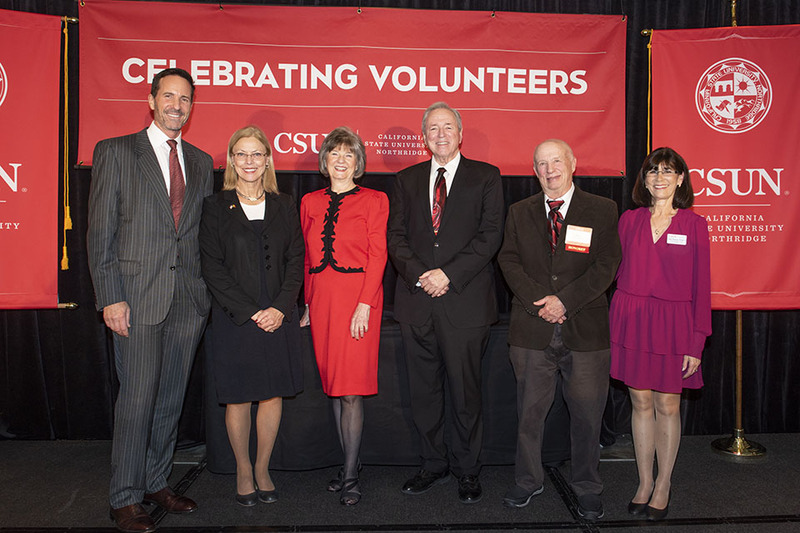 CSUN Biology Professor Emeritus Steve Oppenheimer was among those honored at the CSUN Volunteer Service Awards last Friday, receiving the Dean Ed Peckham Award for Emeritus Service in recognition of his work in education, cancer research, and outreach over five decades with the university. The citation for the Peckham Award cites Oppenheimer’s record of some 300 publications with 700 students, and more than $7million of research and training grant funding since he joined the faculty of what was then the San Fernando Valley State College in 1971. It also notes his continuing work with the New Journal of Student Research, which publishes abstracts of science projects by K-12 students in the Los Angeles Unified School District, and his receipt of the Presidential Award for Excellence in Science, Mathematics, and Engineering Mentoring from President Barack Obama in 2010.